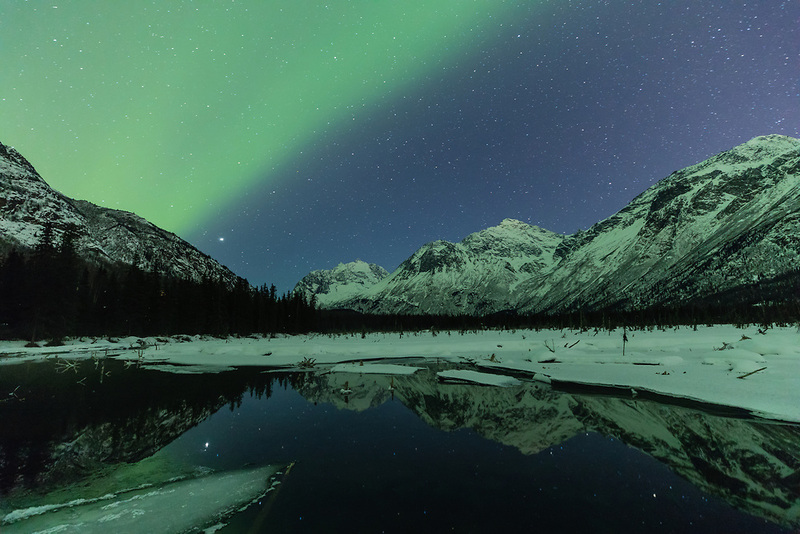 Aurora Borealis bathe the night sky over the Chugach Mountains and a spring fed marsh in Southcentral Alaska. Winter. Evening.